When Bill Gates wrote these words in 1995, little did he know how well they’d describe the automotive industry in 2016. Today’s automakers face a not-so-distant future in which they will have to change dramatically. Powerful, disruptive trends are already converging toward this outcome. What’s more, new entrants are emerging with business models that don’t require the automakers’ capital investment, know-how in vehicle design and manufacturing, engineering prowess or dealership networks. Some of these players are well-established in other industries (think Alphabet, the parent company of Google), and others are tiny start-ups that burst into prominence (e.g., Uber and Lyft). 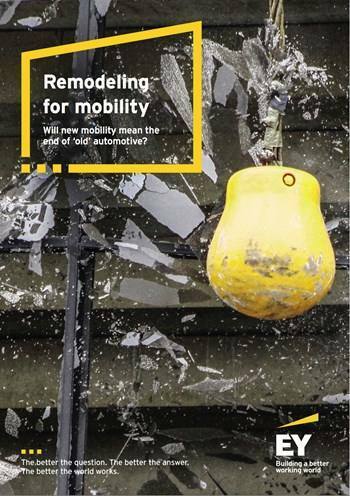 Can automakers confront the challenges of disruption, successfully adapt and seize the opportunities created as the new mobility industry takes shape? We believe they can — but only if they shed their historically insular approach to how they think and operate. Openness, flexibility and collaboration will be the keys not just to survival, but to sustainable prosperity as well.